Pigeons have been roosting under the steel bridge supports and contaminating the electrical trays and lighting cases. This becomes a health issue when maintenance technicians have to carry out services. 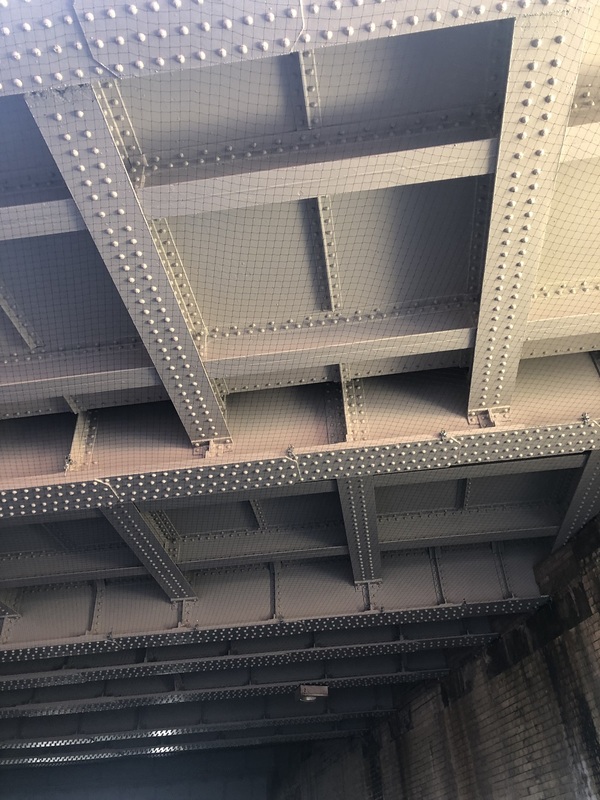 Our polypropylene pigeon netting has been installed on a 2mm galvanised steel wire rope, which is anchored to the underside of the bridge steel support using special 70mm Flange Clamps. We also install zips into the pigeon netting where regular maintenance is required. In the following image, pigeon netting has been installed to prevent pigeons from perching and nesting on this loading bridge steels which is contaminating machinery and delivery logistics below, this is also a health hazard. 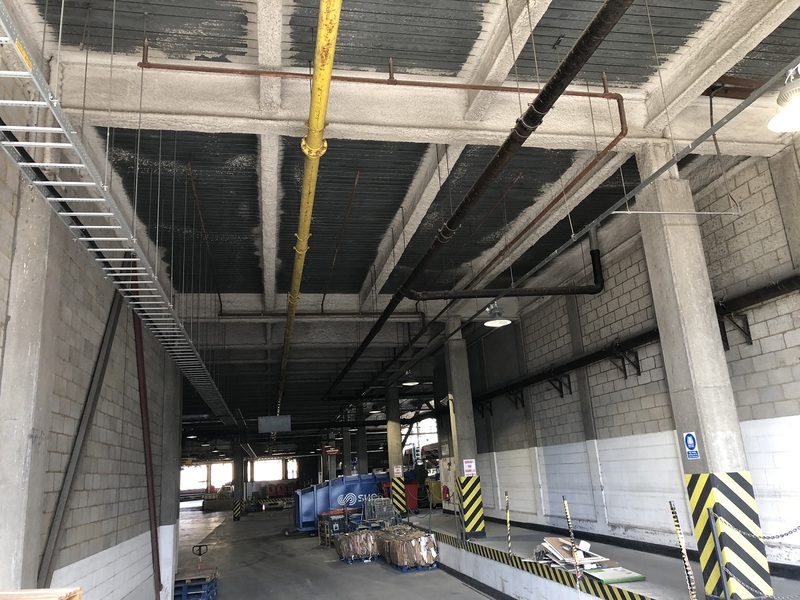 We have also installed access zips for contract services to maintain areas in-between the steels and the netting system, where lighting and junction boxes will need regular attention.